If you were dazed and confused upon hearing middleweight king Anderson Silva would jump divisions to serve as a last-minute substitute to fight Stephan Bonnar at UFC 153, imagine how Chris Weidman (Pictured) felt. Wonder no longer, because the 185-pound top contender is just as baffled as everyone else. “I was a little shocked and confused and a little disappointed,” Weidman said on FUEL TV’s UFC Tonight. “I had just ended up getting elbow surgery a week ago. As soon as I was done announcing my [Tim] Boetsch fight, getting elbow surgery, the same week I find out that Silva is fighting Bonnar at UFC 153. What disappoints Weidman the most is that he was under the impression “The Spider’s” 2012 campaign was wrapped after beating Chael Sonnen in July. All of a sudden, Silva makes himself available on a minute’s notice – on two separate occasions. Weidman fanboys believe Silva is ducking him because the baddest middleweight in bare feet might see his extended reign come to an abrupt halt once they collide. “All-American” wouldn’t go as far as saying that, but he does believe he presents plenty of obstacles Silva has yet to encounter. “I don’t know,” Weidman said of Silva avoiding a showdown. “I just think I am definitely a big risk for him on paper. I am a good wrestler with good jiu jitsu and I don’t think he has seen anyone like me with my athleticism. 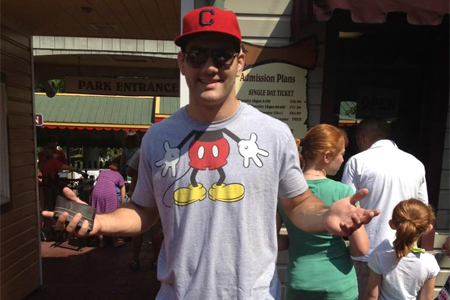 In any event, the Octagon train moves on and Weidman has been assigned to Tim Boetsch at UFC 155. Perhaps he’ll finally get his crack at Silva’s crown if he can bump his résumé to a perfect 10-0.